Pain Support Groups by Heath Wellness at Central Park Christian Church in Topeka, KS approached us for a modern one page layout redesign. We worked closely with Roy Sutton, who has a passion for helping individuals maneuver through their emotional pain, depression, anxiety, grief, or other relationship concerns. His desire is to provide people a safe, supportive environment to begin the healing process, both emotionally and spiritually. We’ve created a site that reflects what Pain Support Groups offers and how to find more information. The Magic of Pain Support Groups. We glued the key components of modern responsive design, with the flexibility of modern frameworks to give Pain Support Groups a nice overall solution that fits their needs. 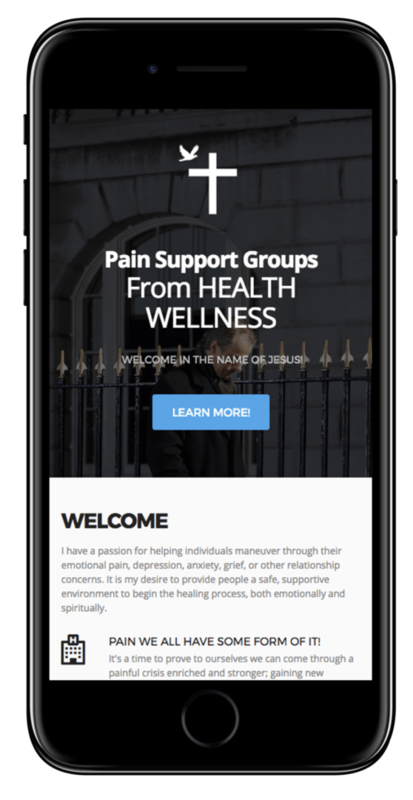 Our goal for Pain Support Groups was to provide the best possible user experience on any device, from iMac with a retina display to even a tamagotchi. Clean design and careful placement of features was a must for Pain Support Groups. The framework Pain Support Groups was built upon was chosen to provide top notch flexibility and security for 2017.